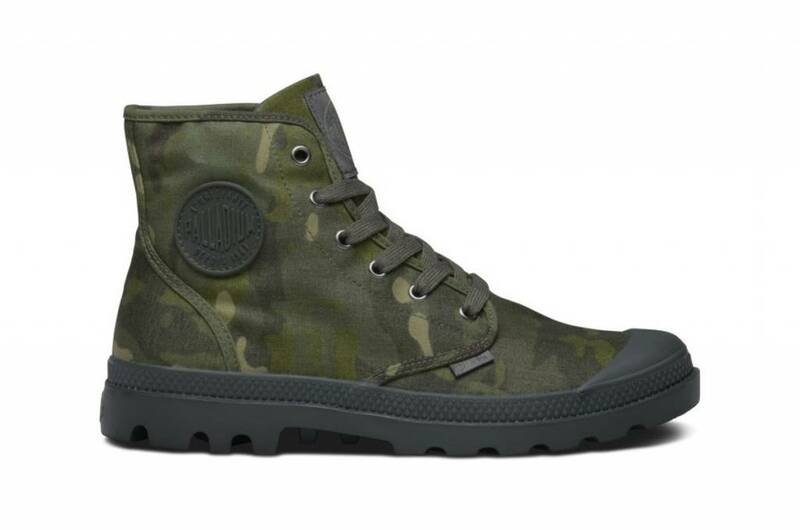 Adopt a stylish look with the Palladium Pampa Hi boat. This sneaker inspired men's high-top shoe has a cotton cloth for the upper and lining. The sole is polished. The single-piece rubber sole gives an excellent grip when exploring the city. The EVA footbed and the tight heel provide lasting support.